I’ve always enjoyed Kadhi ever since I was a child. Despite the perennial heat and humidity in Mumbai, I relished sipping a warm bowl of Kadhi every single time my mother made it. She’d always keep aside a bowl just for me :-). This savory soup-y dish is enjoyed ladled over some Khichdi (A lentil and rice preparation) or some Moong Pulao (Green gram and rice pilaf). 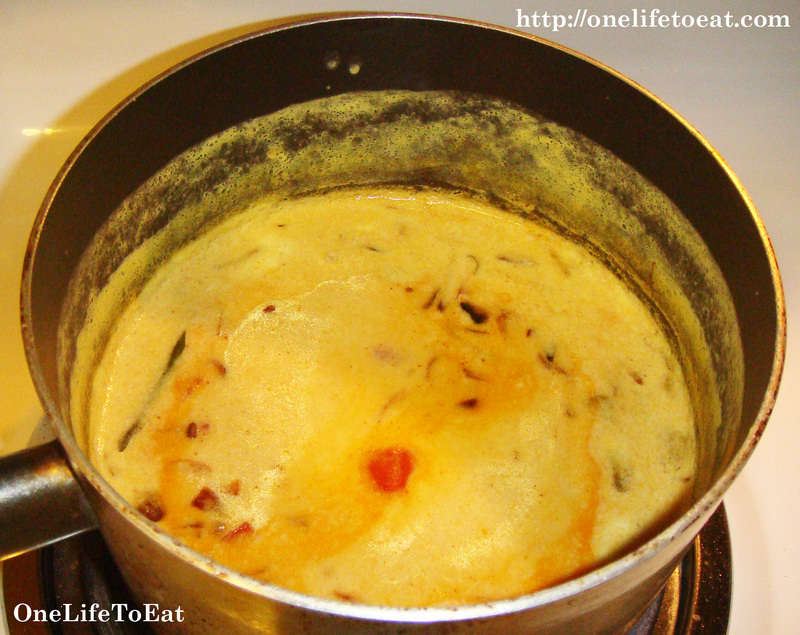 I’ve enjoyed several preparation styles of Kadhi, depending on the cultural background of the person making it. The Sindhi people, who hail from North India, make it savory and spicy, with little fried fritters made of Chickpea flour, Onions, Potatoes and ofcourse, a whole bunch of fresh spices and herbs. The crispy fritters are placed in the Kadhi and taste just wonderful when soaked in the savory, tangy liquid. The Sindhi also like their Kadhi yellow and add turmeric powder to add the color. The Gujarati people of West India, prepare Kadhi sweetened with sugar or jaggery. They make theirs on the lighter side, and without turmeric powder. Something tells me that the recipe for this dish emerged from a nifty homemaker who wanted to use up some leftover and very sour yogurt in her kitchen. Very sour yogurt makes the best Kadhi. If you’re not big on the flavor, you can always use fresh yogurt that has a milder flavor. The yogurt is mixed with double the ratio of water and the mixture is thickened with chickpea gram flour, also known as Besan in Hindi. The mixed liquid is then simmered till the flour cooks, and finally flavored with powdered spices, curry leaves, fenugreek seeds, chopped garlic and fried onions. As is with all my cooking, my version is simpler, quicker, lower on oil, and in that spirit, excludes the fried chickpea fritters. Allow to simmer for about 5 more minutes. Serve hot with Khichdi or Zeera Rice. Did you know that Kadhi actually helps alleviate symptoms of the common cold? I love kadhi very much they go well with rice and chappathi. That’s an interesting suggestion Ram. I’ll definitely give it a try. Thanks for the comment! Haha! Good luck making it Peksimet! 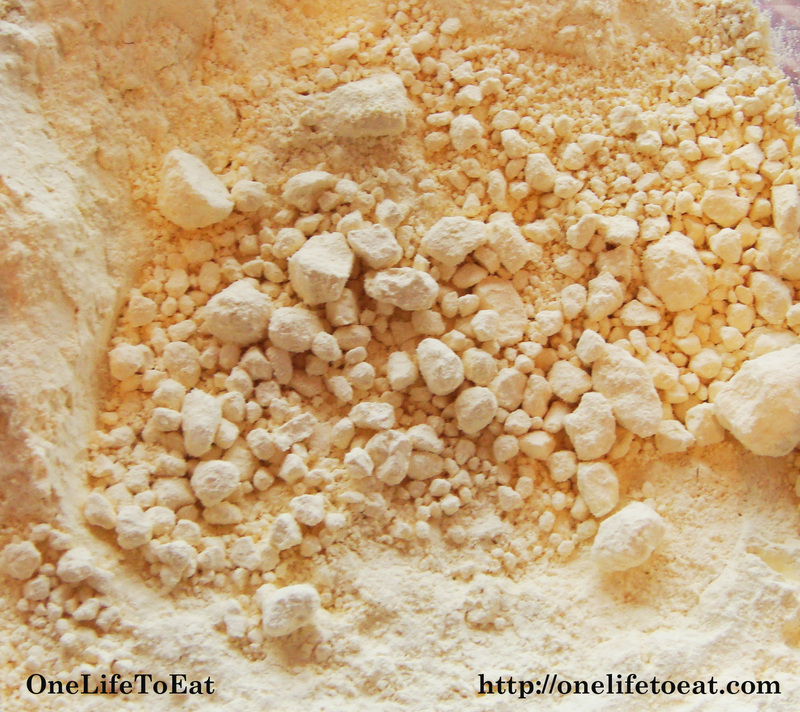 Thanks for checking out OneLifeToEat. 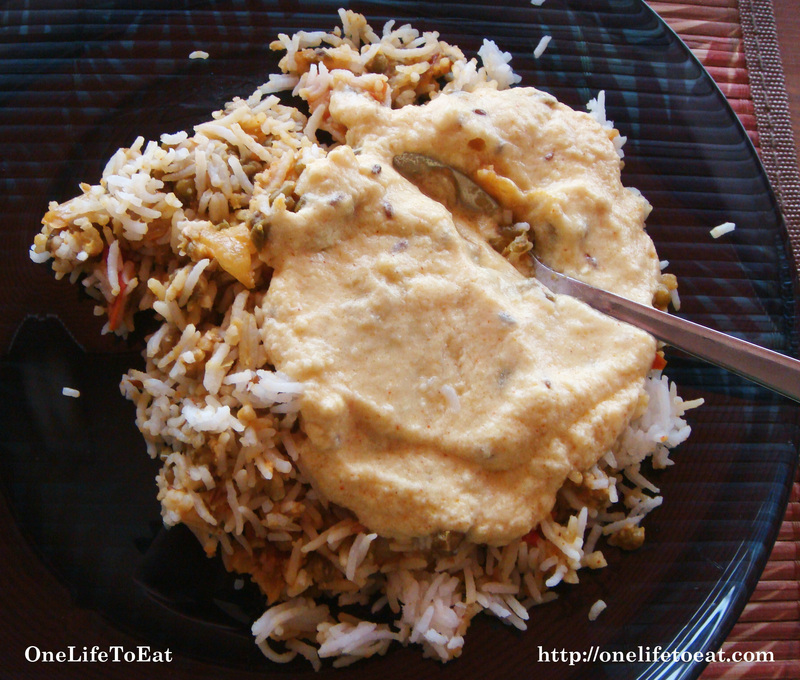 Hi Swati & Gautam – Thanks for trying out my recipe! 🙂 Glad you enjoyed it.